Kissing Crane 2011 American Pride Stockman | BUDK.com - Knives & Swords At The Lowest Prices! This Limited Edition Kissing Crane stockman is perfect for Americans with pride! The genuine bone handle features a red, white and blue pattern and offers nickel silver bolsters and Kissing Crane shield. 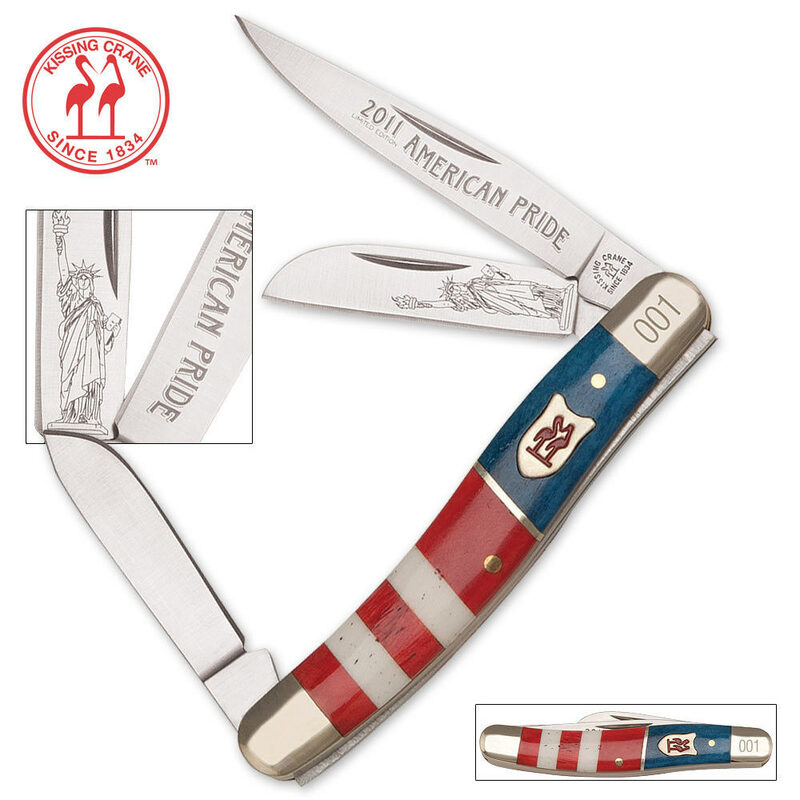 The AUS-8 stainless steel blades feature a commemorative "American Pride" etch and a Lady Liberty etch. Each knife is individually serialized 001-300. 3 1/2" cl.